Does Deadpool Annoy You? Heres's How to Beat Deadpool! 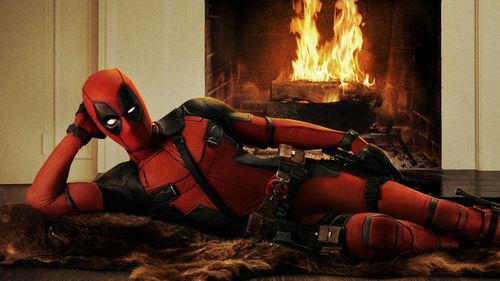 Home » Films » Does Deadpool Annoy You? Heres’s How to Beat Deadpool! Deadpool 2 was already out and Ryan Reynold really nails his role of Deadpool. He brought Deadpool into life; Deadpool is so lively, so lively that many fans even imagine Ryan’s voice when they read comics. But that aside, Deadpool is indeed a funny character with funny personality. He can easily annoy his enemy (and maybe some of us) with his nonstop talking. Naturally, many Deadpool’s enemies really, really want to beat this guy into pulp. But how to beat Deadpool exactly? Let’s find out! 2. How to Defeat Deadpool? If you already read Marvel comics or watch the first Deadpool, you pretty much know who this Deadpool guy is. 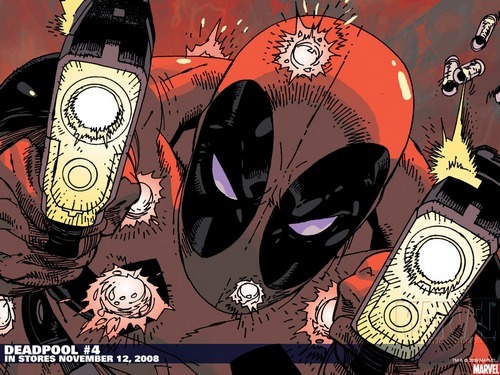 For quick recap, Deadpool’s real name is Wade Wilson, a professional mercenary born in Canada. When he was young, he got a mental problem, specifically his conflicting memories. It twisted his personality a great deal, even when he became an adult and worked in U.S. Army Special Forces. Soon he was fired from the Special Forces and he decided to become a mercenary. In US, Wade found the first love of his life Vanessa. But cruel fate did not let him go yet. When he found out he got a serious case of cancer, Wade dropped all hope including his lover Vanessa. Just when his flame of hope almost snuffed out, Wade was offered a chance of joining project Weapon X by Department K, a special weapons development branch of Canadian government. Surprisingly, the project turned out to be a success… to certain extent. Thanks to it, Wade’s body gains the power of Healing Factor, which can even be stronger than Wolverine’s. That sounds great right? Yes, but a little twist: the cancer cells actually still inside Wade’s body. He does not die to the cancer just because his cell regenerates so fast that the cancer cannot keep up with. As the result, Wade still lives and well but his body is malformed drastically. Since then, Wade still continues his mercenary work. With his new costume and power, he called himself Deadpool – The Merc With The Mouth. So we know that Deadpool is skillful and annoying no doubt. But how strong is he exactly? At first impression, Deadpool may look like a clown who likes to say stupid stuff (and irritating too). But given his background of working in US Special Forces, we should know that this guy is actually not someone to fool around with (except he will fool around with us). 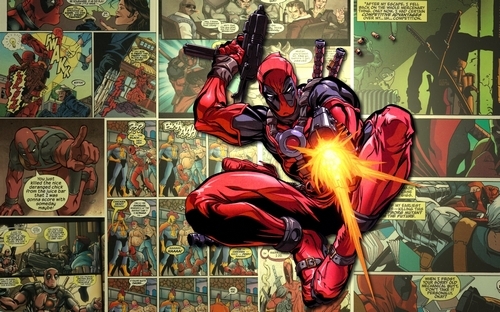 As a former Special Forces soldier, Wade Wilson – Deadpool is extremely skilled in almost all type of weapons, including his favorite dual katanas and dual pistols. He is also extremely skillful in martial arts, including both armed and unarmed combat techniques. And while it may not look like much, Deadpool is actually professional in assassination as he once worked for CIA-sponsored group of assassins who ensure all targets will die. Not to mention, Deadpool has superhuman physical capabilities like strength, speed, and reflexes, which only makes Deadpool even… deadlier. Chemical Resistance: Deadpool has high resistance against most toxins or drugs. Disease Immunity: Deadpool’s immunity system gains tremendous power, rendering him invulnerable from diseases or infections. Extended Lifespan: Deadpool’s lifespan extended tremendously, he can live much, much longer than a normal human. His current lifespan is still unknown. Telepathic Immunity: Deadpool can resist against psychics like Cable or Emma Frost. That said, he is not entirely immune to psychic attacks though. Deadpool can still be looped with telepathic psi-link communication with other people. However, reading his mind can be pretty… messed up given his mental state. Possession Resistance: Interesting enough, apparently no one can claim Deadpool’s soul or body. 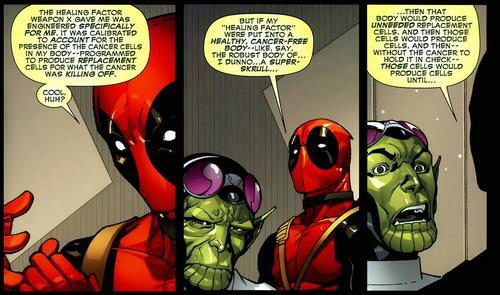 Not only Deadpool has powerful Healing Factor, at a certain point Deadpool even has Immortality. 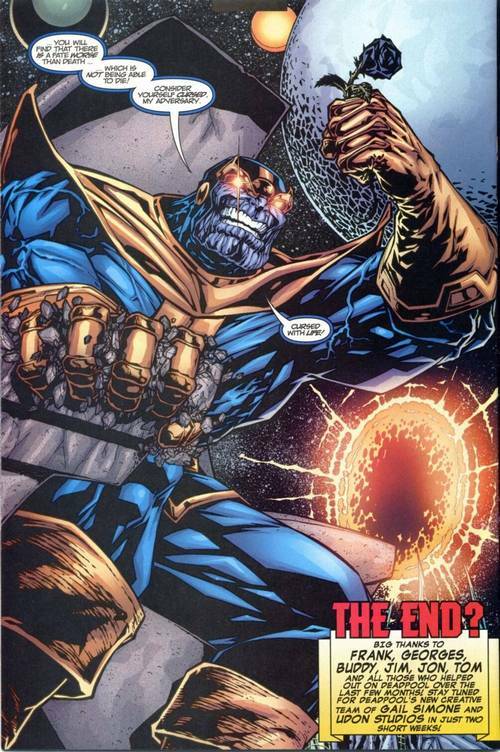 In the comics, Thanos fell in love with mistress Death. And seeing Deadpool also took interest in Death, Thanos was so jealous that he gave Deadpool the Curse of Immortality which rendered Deadpool immune from dying. However, it was confirmed that Deadpool lost this ability since Deadpool vs Thanos series in 2015 as Thanos taking back Deadpool’s immortality (And actually, Deadpool “did” die in Deadpool #250). Then finally there is one single most problematic “ability” of Deadpool: his mouth. 2. How to Beat Deadpool? So now that we have taken a brief look at Deadpool’s power, it is time to move on to our main question: How to beat Deadpool? The Ghost Rider is the host of Spirit of Vengenace, a terrifying being with god-like power. These Spirits possess a wide variety of overpowered abilities like Hellfire or God-like Physical Capabilities and their power is only limited by their human host. And among their abilities, there is a particular ability which can kill Deadpool which is Penance Stare. This still means that Penance Stare can affect Deadpool, IF, the Spirit of Vengeance truly wants Deadpool dead. For those who have not been into Marvel comics, Deadpool actually has a… rough relationship with Thanos. As we mentioned above, Deadpool fell in love with Death; however, she was also Thanos’s love interest. This sort of love triangle became extremely irritating for such a man of caliber like The Mad Titan. Therefore, Thanos decided to “grant” Deadpool the curse of… immortality. If Deadpool could not die, he would never be able to reunite with Death. So if you hate Deadpool, you can try to ask Thanos to kill him for you. 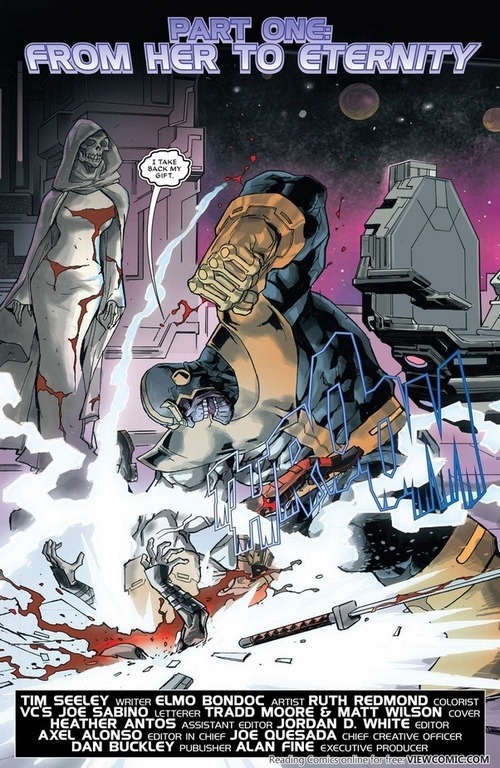 As the matter fact, in Deadpool vs Thanos 2015, Thanos took away Deadpool’s immortality and smashed him into pulp in just 1 panel of volume #1. Of course Deadpool did not die for good in that series; however, it proved that Thanos is a good counter-measure to Deadpool… provided that we can convince him. Back to 2015, Marvel did end Deadpool’s life at the final issue #250 by using an… unconventional method. 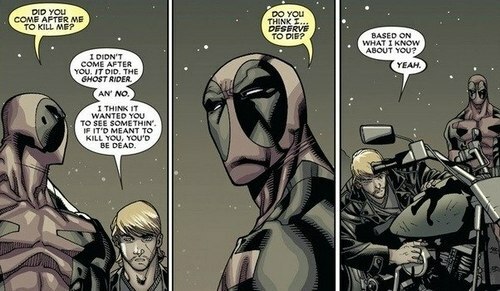 In this last issue, Wade decided that Deadpool had to die if “Wade Wilson” was to live. He left his Deadpool suit and went on a cruise with his buddies. But just when he spoke of a new beginning without Deadpool, he and his company suddenly noticed an extreme heat burning them. 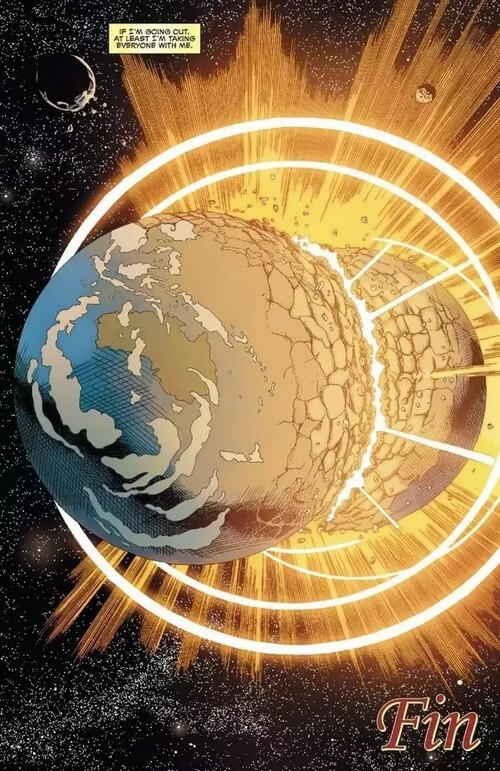 Turned out, that was a huge planet crashing on Earth, killing Wade and everyone else in the process. But hey! At least Wade did not die alone! Cancer is an atrocious disease. Obvious no normal person would want to be inflicted with such disease. But surprisingly, it is a “stabilizer” for Deadpool. One problem with Deadpool’s Healing Factor is that his cell regenerates so fast, too fast that it can get out of control. And thanks to the cancer, Deadpool’s regeneration was prevented from going too far. And imagine if his Healing Factor is injected into a healthy body, high chance that that guy’s body would be bloated till death. So yeah, turned out Deadpool’s cancer is a “blessing” for him. Even if Deadpool’s immortality was removed (in fact he DID lose his immortality), his Healing Factor would still be there. It provided Deadpool such powerful regeneration that even if he lost a limb or two, he can still heal those damages rather quickly. And since his regeneration depends on his cell, the idea is that Deadpool’s body can be destroyed for good if all of the cells within his body are 100% disintegrated in cellular level. 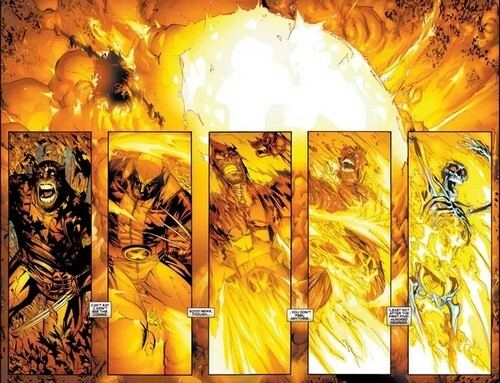 Similar to Wolverine, Wolverine also possesses Healing Factor, but his body cannot regenerate from nothing and in fact, disintegration DID work on Wolverine. So in theory, this method should also work on Deadpool. That said, we will need even much more power to disintegrate Deadpool than disintegrating Wolverine. Deadpool is extremely dangerous, especially when he got serious. There was even a series called Deadpool Kills The Marvel Universe and at the end of the series, Deadpool even killed the comic authors. Scary isn’t it? But fortunately, for most of the time he rather fools around and annoys his opponents with his irritating, non-stop mouth. If somehow we can ignore his blabbering mouth, we can defeat Deadpool by outwitting him. As the matter fact, Deadpool has lost to many Marvel characters like Daredevil, Black Widow, and Moon Knight. Hilarious, true! But since he has Healing Factor and immortality (used to), why so serious? And that’s it folks! Those are suggestions of how to beat Deadpool! Having any better idea? Feel free to share with us and for now thank you and stay tune for more news in the future! Pingback: Challenging The Mad Titan: Who Can Defeat Thanos?